The dreadful carnage of February 14, the Pulwama terror attacks in Jammu and Kashmir, has left the country mourning as well as filled every citizen’s heart with utter rage against Pakistan. While many individuals have resorted to a social media support, others have begun taking solid actions. Many Bollywood and television actors took to their social media accounts to share their views on the horrifying and cowardly attack. All Indian Cine Workers Association announced a total ban on Pakistani artists and actors from working in India. 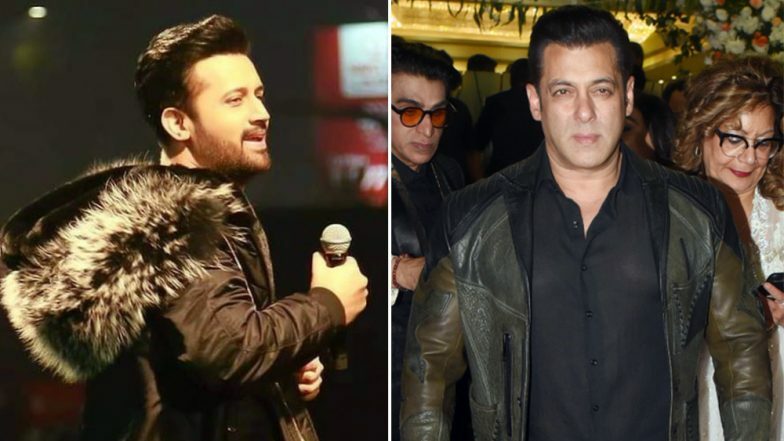 Putting this notion to practice, media reports suggest that Salman Khan has asked his production house Salman Khan Films to replace Atif Aslam song from Notebook. Salman Khan Drops a Hint That Debutantes Pranutan Bahl, Zaheer Iqbal-Starrer Notebook Can Be a Remake of THIS American Film. The re-recording of the Notebook song will take place in the coming couple of days. The AICWA letter reads, "All Indian Cine Workers Association strongly condemns the brutal terrorist attack on our soldiers at Pulwama in Jammu and Kashmir. Our heartfelt condolences to the families of the victims. AWCWA stands with the nation in confronting such terror and inhumanity." Signed by AICWA General Secretary, Ronak Suresh Jain, the letter further reads, "We're officially announcing a total ban on Pakistani actors and artists working in film industry. Still, if any organization insist on working with Pakistani artists will be banned by AICWA and strong action will be taken against them." Salman Khan and Katrina Kaif to Feature in a Modern Day Rendition of 'O O Jaane Jaana' And Our Morning is Officially RUINED. Talking about Notebook, the film has been touted to be the "The most beautiful love story". The first poster look of Notebook was dropped recently by the producer, Salman Khan, himself. The movie stars Zaheer and Pranutan have their roots in Bollywood. While Zaheer is the son of Iqbal Ratnasi, an old acquaintance of Salman, the latter is the daughter of Mohnish Bahl and granddaughter of the legendary actress Nutan.